Things are still getting going with the season on the streams and there has been that (possibly) fortuitous influx of brownies, which are keeping many of our hopes alive because without the life long education that the stream born rainbows have received to be honest the brownies are still a little naïve. So right now larger flies still work pretty much Ok and although you are likely to be getting refusals from some of the “bows” the brownies will frequently make an error of judgment. But summer is coming the late rains have added a flush to the system but pretty soon you are going to be reaching for that 7 or 8X tippet and the micro patterns. Whilst it has taken a few years for their general acceptance it isn’t uncommon for one to find even neophyte anglers on the streams with tiny patterns and fine tippets, it has become accepted pretty much that small is often better when the going gets tough. Of course a quick glimpse at the size of the actual bugs on the river will confirm that much of what the trout eat is pretty tiny and it makes sense to copy that, at least the size if not the pattern. The fish have wised up to the idea that if something appears to be too good to be true then it probably is and I would have to say that most of the better fish that I have caught come on tiny dries or nymphs, particularly in lower water conditions. 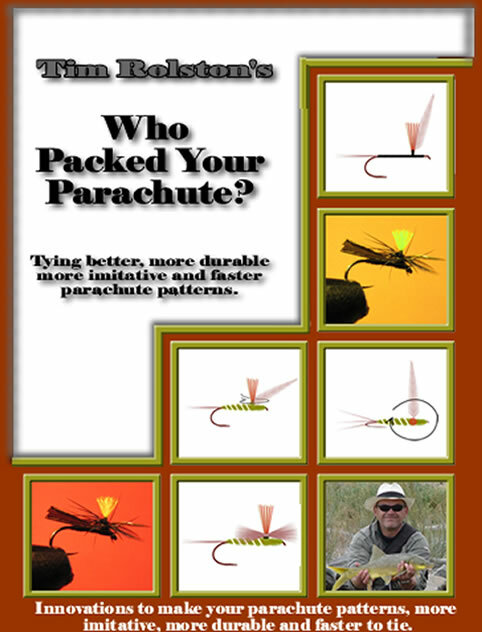 So what patterns are likely to be effective and how can you best fish them? 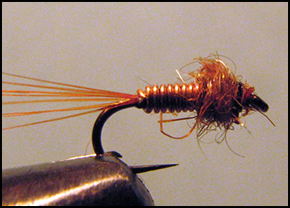 The parachute micro caddis, these flies arrive in great numbers, last a long time on the water and definitely fall into the drink on a regular basis. In fact I am not sure that the hatch is that important, it is the residual caddis flies wandering about the rocks which provide a regular food source. They come in two primary colours, tan and black and you should carry patterns of both although the black one is a favourite. Spun duns manufactured out of deer hair can only be tied so small , after that they become problematic but a switch to using CDC or poly yarn as a wing will allow you to tied these flies down to minute sizes without much trouble or indeed expense. A favourite being the blue winged olives which can be readily manufactured with dun or gray poly yarn and olive thread bodies. Using similar methods to the spun dun techniques, this is a remarkably visible fly for a micro pattern and fish just love ants. Whilst falls of flying ants aren’t common they do produce superb fishing with almost every trout in the river “on the top”. Even when they are not about in numbers the fish will target them and you can frequently break the spell of a tricky fish by using an ant. Fishing micro patterns sub surface is probably even more effective, if only because when reduced to micro tactics it is generally a result of the water being low and clear and the fish being particularly troublesome to tempt. 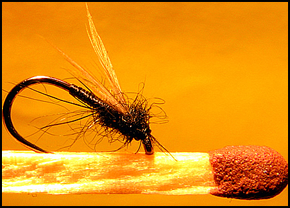 The fishing of patterns sub surface not only sinks the leader or tippet but also often seems to tempt the trout more easily, they just seem more accepting of subsurface flies some how. This is a giant amongst the micro flies and serves as my number one micro nymph pattern when the going is tough. 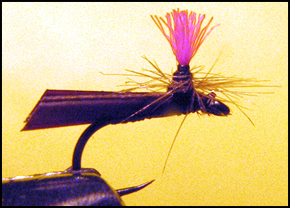 I have switched to this fly after a refusal to a dry and ended up tempting the fish more times than I care to remember. 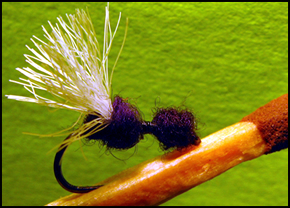 It is simple to tie, sinks like a brick on fine tippet and is one of the few fast sinking nymphs that can be easily cast on the ultra-light tackle that we tend to use on the streams. I carry them in both tailed “mayfly nymph” versions and tailless “Midge” versions. Another tiny pattern which could in fact represent any number of drowned bugs or emergers or stillborn flies. 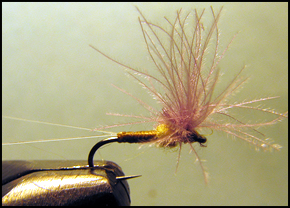 Tied with either a thread or wire body this pattern offers a bit more movement than the brassie and will frequently illicit a response when other flies fail. 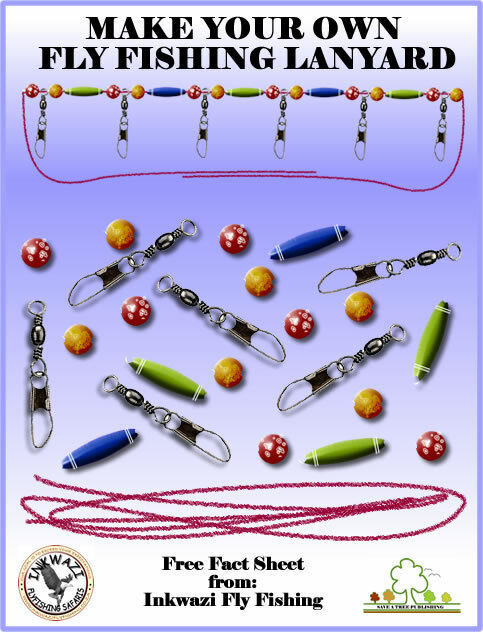 For the dries I generally fish them alone on a fine 7 or 8X tippet, but if you are battling to see them then you can fish them in tandem behind another pattern that is a bit more visible. You will find that it is more difficult to get drag free drifts with two flies but it is better than missing the take entirely and takes to microscopic dries are frequently pretty subtle so knowing exactly where the fly is can be a huge boon. For the sunken patterns again I usually fish them with a dry fly indicator, a size 18 parachute will easily support these tiny subsurface flies, there is no need for a giant indicator pattern. When targeting a visible fish one can forego the indicator dry but the trick then is to watch the fish and not the fly. If the fish makes a sudden turn to eat subsurface a strike will usually find your pattern firmly stuck in the scissors of the trout. No matter that you thought that the nymph was some way off, it is tricky if not impossible to actually guess exactly where the fly is under water and better to tighten on any distinct feeding movement of the fish. Fishing Micro Patterns with a sighter dry fly. You can click on the above diagram to see an enlarged version. 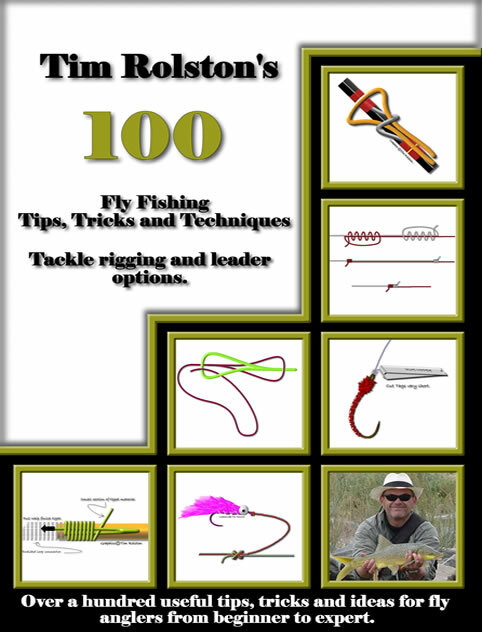 So as the water levels drop you will be faced with more sight fishing opportunities and at the same time probably more trouble getting the fish to eat bigger flies. Moving to the micro patterns is of course only one of a variety of options but it is definintely one that should be part of your armoury. When the going gets tough, the tough go micro, at least some of the time. 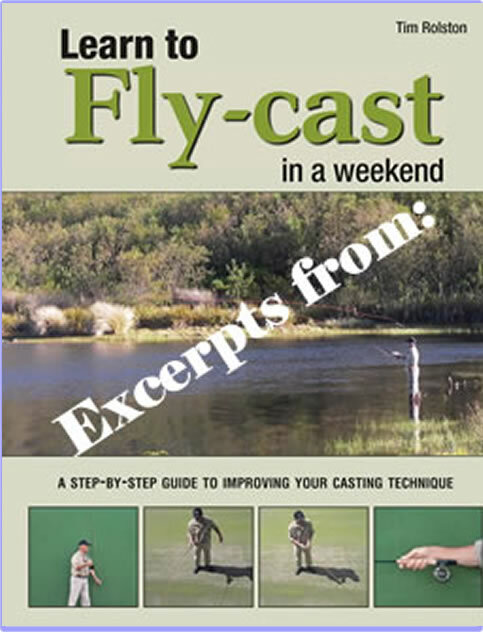 There is is, a quick low down on fishing tiny flies, it takes some getting used to, faith has a lot to do with it but time has taught me that the trouble it takes to get used to fishing small can pay handsome dividends come the low waters of summer. Disclaimer: On occasion Google Ads appear attached to these blogs, whilst they may be relevant and useful to you the participants and writers of this blog have no control over these adverts nor derive any financial benefit from them. Please do note that their presence does not imply any recommendation or endorsement on the part of the participants of this blog.